Hi, how are you guys doing today? I'm counting down the days till my awesome week of no work all polish. I cannot wait. I just want to sleep in and stay in my pajamas all day. Little known fact, I turn into a total slob when I don't have to go to work. Sad, but true. Haha. No time or need to be a slob today though, not when I'm rocking on beautiful Sally Hansen polishes. A very big thank you to Sally Hansen for sending me an unbelievable package! So many goodies. 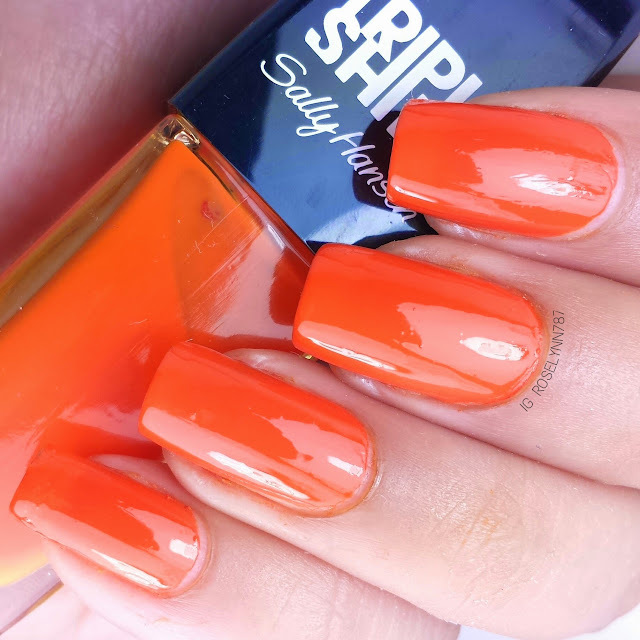 Today I'll be showing you guys the two Triple Shine polishes they provided from their Tahiti Sunset Collection. I do have to apologize since I feel these swatches are in poor quality. It was to the point where my cuticles were burning so I couldn't do any further clean-up. Woe the life of a serial swatcher. Teal lovers come and unite! 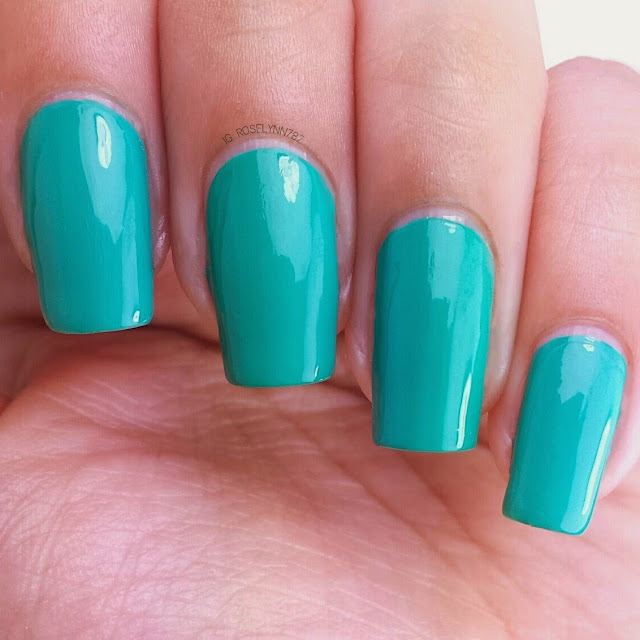 Seasational is absolutely gorgeous, I love all teal polishes lately as you guys know. This polish specially makes me feel like some sort of sea goddess. I had actually seen this one on the shelves at Walgreens a couple of times but could never get it for myself. Needless to say I did a little pelvic thrust of happiness when I saw it in the box. Swatched over a clear base coat, used two thin coats, and sealed with a fast-drying topcoat. This polish is really opaque in a single coat, it's incredible. I only needed the second coat to smooth the edges out more than anything else. I can totally see myself using this for stamping in the near future. Because it's from the Triple Shine line, you really don't need a topcoat if you don't feel like it. As much as I love this shade, however, I did experience a little bit of staining. I've mentioned this before, I don't care about polishes that stain because I have a tight cleaning routine that solves that for me. Regardless guys, be sure to wear this beauty with a strong/heavy base coat to protect your natural nails. Taheati is a creme polish in the unique shade of dark orange. Definitely not a color I would normally pick for myself, I have to be honest. You guys all know how I am when it comes to my skin-tone and colors crashing. The polish itself is absolutely lovely though and reminds me of a sunset oil painting. Ah, this is probably the namesake of the collection. Swatched over a clear base coat, used two thin coats, and sealed with a fast drying topcoat. The formula is just as great as expected for this line. 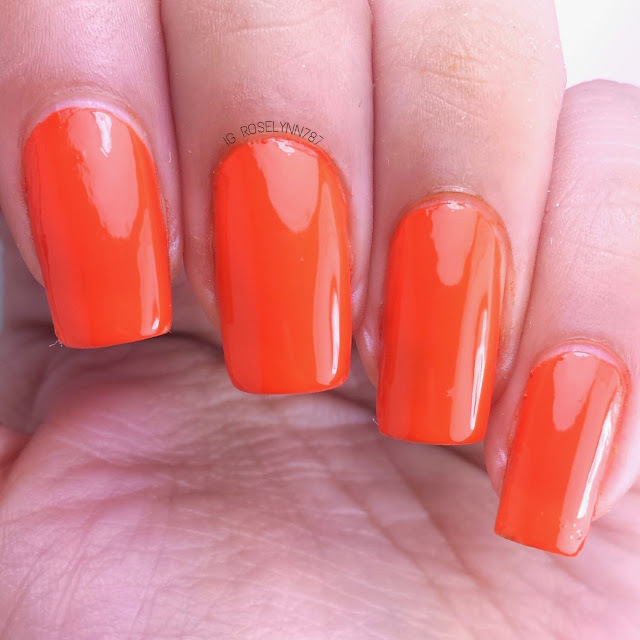 Opaque in a single coat! I recommend a second to smooth it out. Even though this is so glossy and shiny on it's own, I like adding a topcoat. 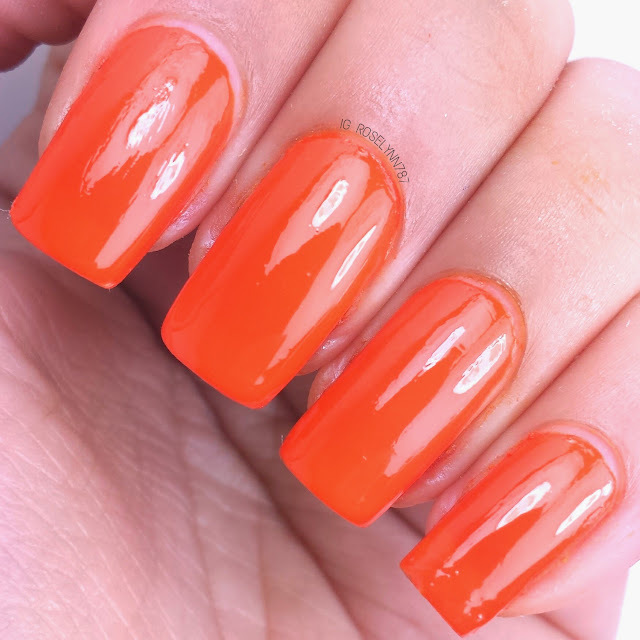 Like Seasational, I think this polish would be great for stamping as well due to it being so opaque in a single coat. I couldn't resist the urge to do a little something further with these beautiful polishes so I created a simple gradient. Behold the magic of a makeup sponge! I have loved Sally Hansen polishes for a long time because of their usability when it comes to nail art. From watermarble to gradients, the variety in their lines cover all the needs of an artist. I cannot wait to show you what I come up with. 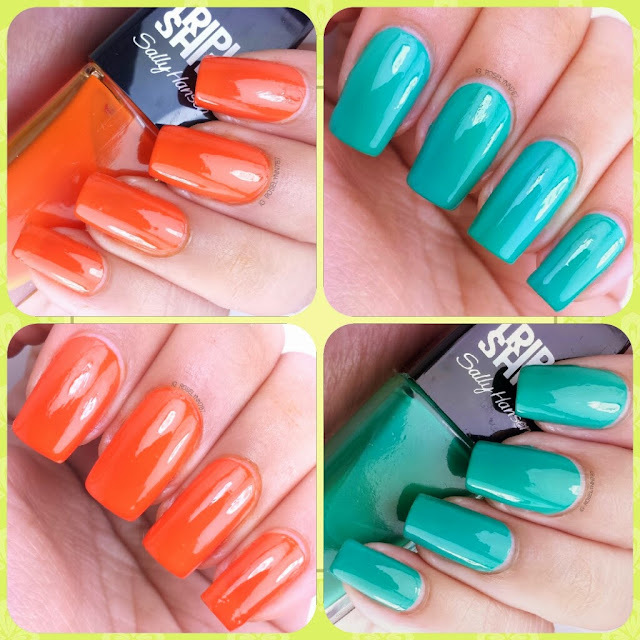 So tell me guys, which Sally Hansen line is your favorite? I'm particularity fond of the Xtreme-Wear line, they work so well for watermarbles.